The Nokia Lumia 1020 is an NFC smartphone that is all about its camera. 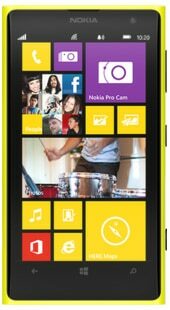 The Windows Phone 8 device features a 41 megapixel sensor and a plethora of high quality imaging features. The handset features a 4.5-inch PureMotion HD+ display and is powered by a 1.5GHz dual-core Snapdragon processor. The device is the successor to the Symbian-based Nokia 808 PureView, which boasted an earlier iteration of the 41 megapixel sensor. The Lumia 1020 was unveiled on 11 July 2013 at Nokia’s Zoom Reinvented press event in New York, and will ship first in the US, from 26 July. The device will become available in China and Western Europe later in the same quarter, says Nokia.